While using the Hinge app, you may receive an error message while trying to use Discover or checking your matches. 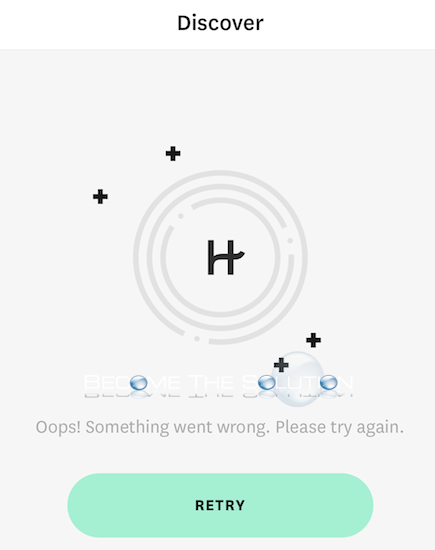 There is likely an issue with the Hinge app servers or Hinge is down. If you are currently receiving this error message using the app, use the comment form below to let us know. Ooops! Discover not working right now.. I wonder if the in-app messenger is silently not working either..
Hello I am new to dating and have been trying to signup for Hinge however for the past few days each and every time I either attempt to login through my number or Facebook I get a “Oops, Something went wrong! Please try again later” Each time I try again I comtinue to always get the same message please help me? I get this error while attempting to sign up using my phone number. Tried using wifi and mobile data, no luck. I don’t want to use my FB account to sign up. Please help! Oops something went wrong is on my discover page. I keep hitting retry and tries to reload with the same outcome. How do I fix this?